The construction is made of high-quality laminated board, which is a guarantee of durability, thanks to which the furniture will stay with you for years. The front of the cabinet is finished in gloss or matte, depending on the chosen color. 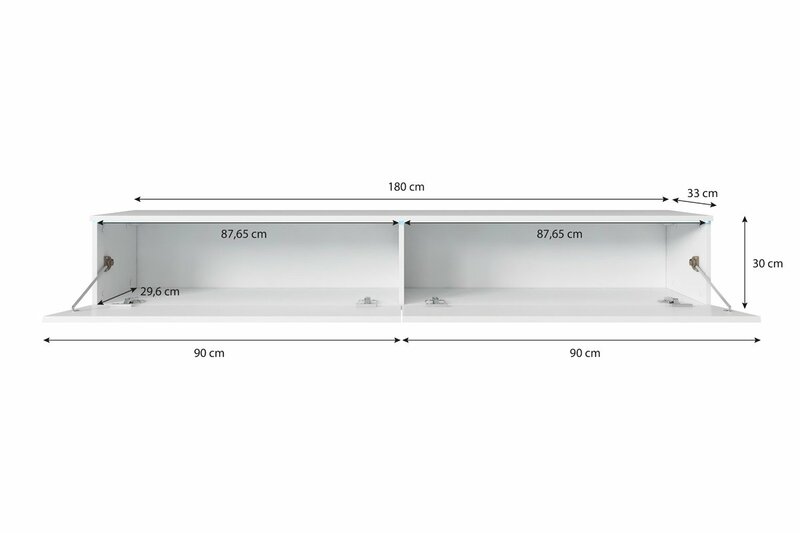 The front of the gloss version consists of an MDF board, which is also extremely durable. The polygloss board shows very interesting solutions, and the gloss layer resembles glass. The furniture is equipped with two roomy, lockable storage compartments, thanks to which you will keep order in them. The cabinet is hanging, which will make it easy to keep the room clean and use the extra space underneath the furniture. The product is available in three charming colors. It also comes with an additional option with LED lighting, which will add even more grace and modern character to the whole. Furniture has hooks that facilitate wall mounting, but there are no elements to attach - additional wall-mounted pegs on which these cabinets can be hung. 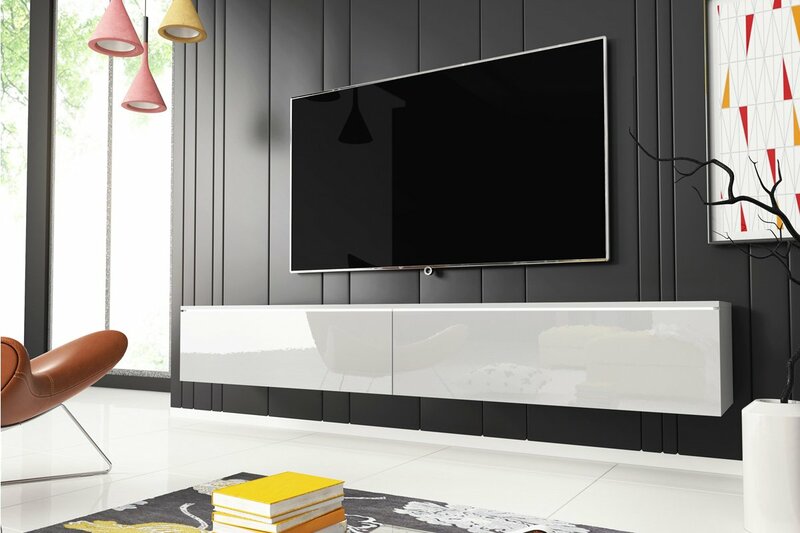 Choose the TV cabinet Kane and change the arrangement of your living room!